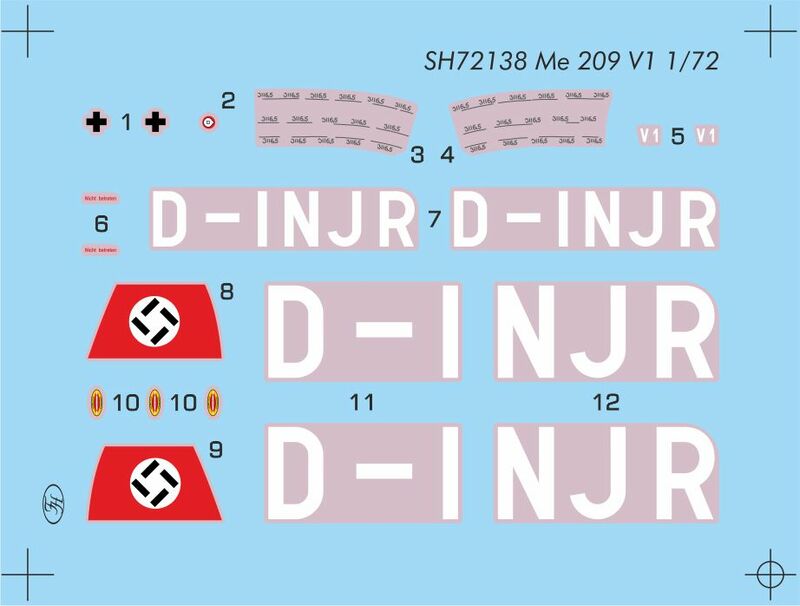 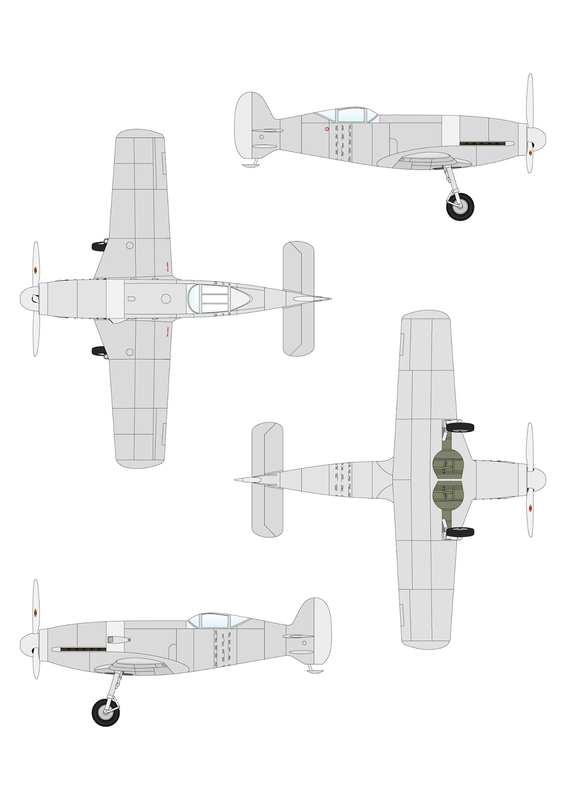 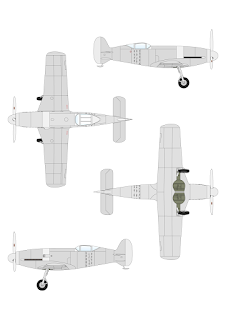 The Me 209 V1 kit, which is to be available this month, will bring you the following scheme options of this special high speed aircraft. The first scheme shows the plane as it flew int he early test stage, still in bare metal, with smaller tailfin and no undercarriage covers. Yet some decals could be applied on the fuselage, note the fuselage panels around the cockpit had some stencilled data on them. 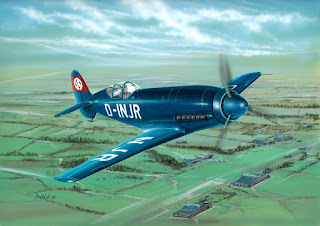 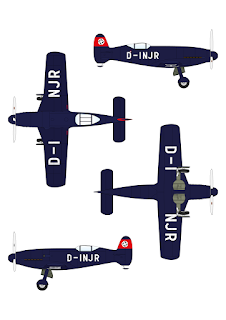 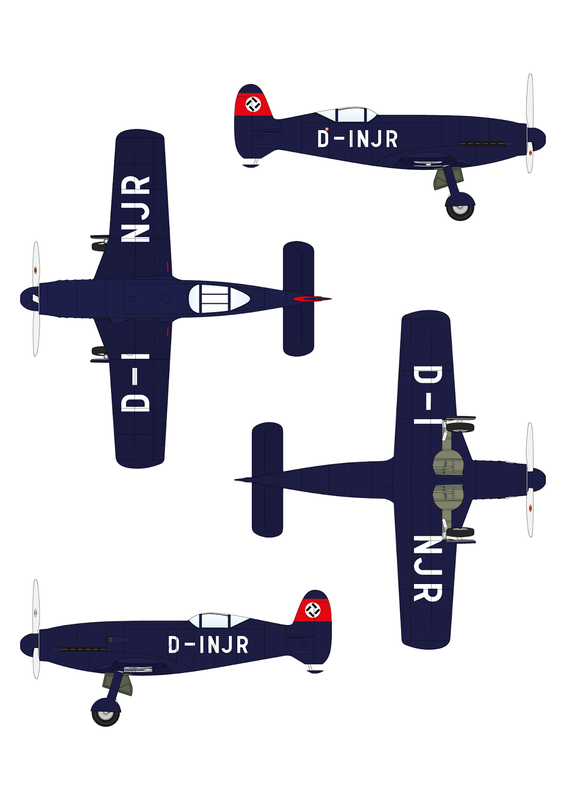 The second option illustrates the plane in its later stage, now painted in deep blue overal and with a taller fin.